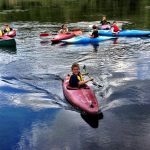 The Mendip Explorers group welcomes young people aged 14-18 and is open both to those joining from their Scout troop and to those who wish to join scouting for the first time. The group meets at 1st Clevedon Scout HQ in Great Western Road, Clevedon, every Thursday evening from 7:30 – 9:00pm. The group leader is Mike Viney and if you are interested in finding out more please e-mail for details. The current programme can be found here.